Financial advice is easy to come by, but finding sound financial advice from an independent advisor can be a more difficult task. Not all of those who offer financial advice is independent. The financial landscape is changing and now, more than ever, we believe that independence should be first on anyone's list when looking to establish a relationship with a financial professional. We are under no obligation to represent or use specific financial products or instruments produced by any firm. We can provide financial tools to our clients from a broad array of national resources. That means our goal is to offer advice, based on your needs. Advisors who are employed by some of the larger firms may be required to recommend products produced by their firm, which may not always be a good fit for their clients. All of the financial resources, products, and tools we present to clients are thoroughly researched by our broker/dealer. In addition, we strive to make sure that our clients are completely educated and understand any recommendations we may make. 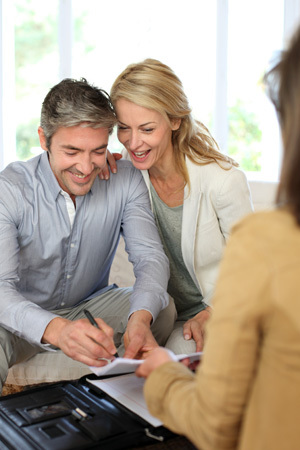 We want our clients to make informed decisions about their money. Firms like ours are relationship oriented, not transaction driven. We take the time to understand not just your financial situation but also your values and vision for your future and that of your family. Once we understand who you are and what your goals are, we look at your whole financial picture to see what we need to do to help you reach those goals. Only then will we make recommendations on investments, insurance planning, and tax and estate planning. We make sure that each piece of your financial strategy is integrated with all the others and aligned with your objectives. Life is not static, and we believe that the single most important thing a financial firm does is to communicate constantly with you. Not just when things are good, but especially when things are not so good. We don't disappear when things get tough.